All of the Trains at Stradbally once worked in Industry or carrying passengers before entering preservation at Stradbally. In this section we present some images to help explain what our trains did before they came to our Railway. Nippy is seen here in pre Stradbally days at its first home in preservation at Shanes Castle Co.Antrim. It came to there thanks to Andrew Wilson when it was retired from Research in Mines at Buxton in the 1960s.It never did much work at Shanes Castle and it was kindly sold on to us at stradbally in 1986. 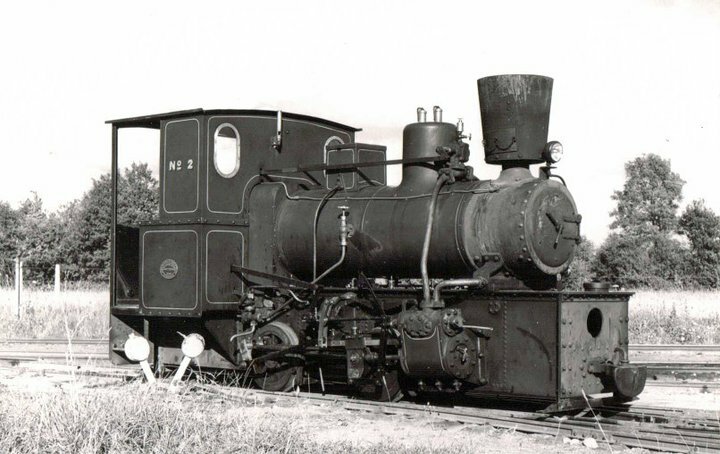 No.2 at its original home at Cushina on its last day in Industrial service in April 1953. The loco along with its two sister engines would go on to spend 16 years in these sheds forgotten save for the occasion visit from a rambling enthusiast. Salvation came in 1969 when the Irish Steam Preservation Society bought it and restored it to running order. Ruston and Hornsby No.4 (Works number 300518) is seen in 1985 at Allenwood Generating Station Co.Kildare. 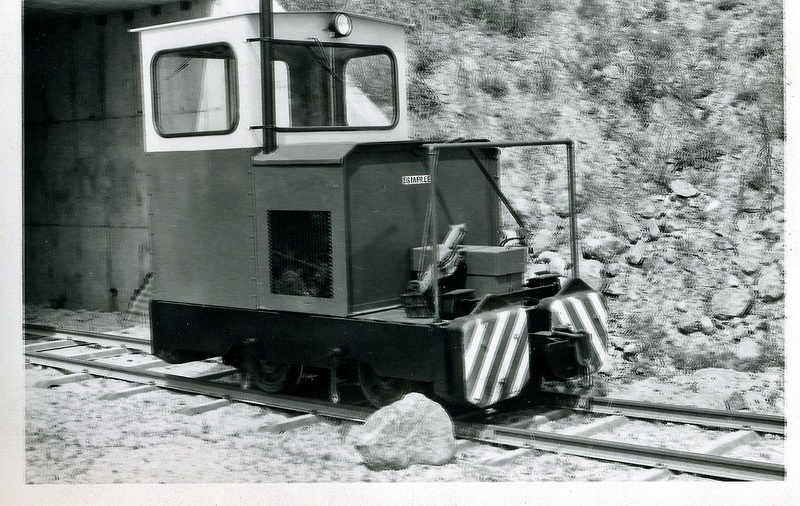 The loco was delivered new to here in 1950 for the ESB and remained here until withdrawn in 1994. 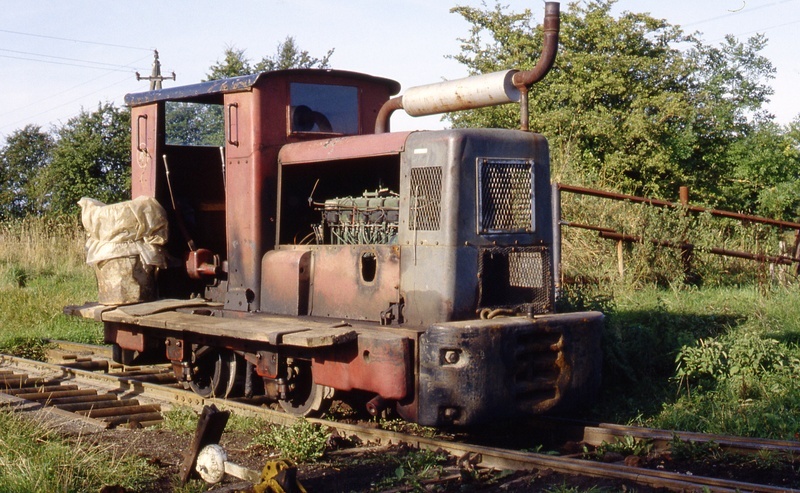 Following closure it was saved from scrap for a tourist railway project around the site but this was later abandoned and it lay rusting away until 2003 when it was moved away for starage by the Irish Narrow Gauge Trust. 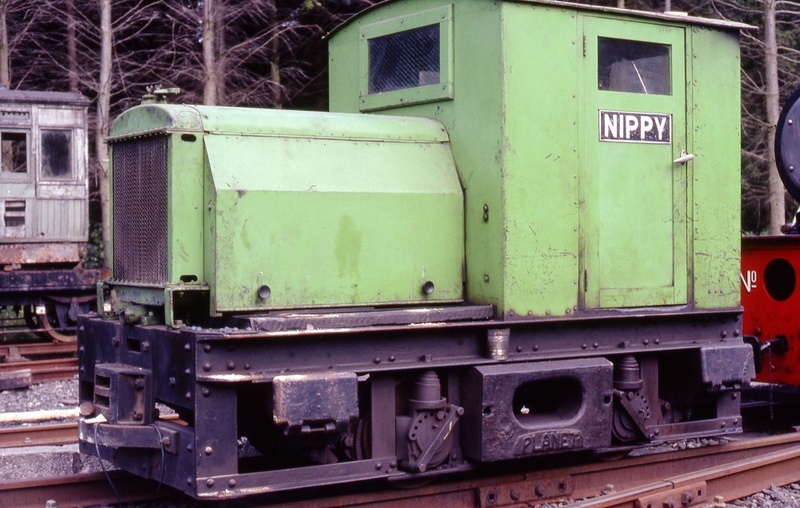 It was then swapped for a Hunslet loco with the ISPS at Stradbally it is now awaiting restoration at Stradbally. No.4 works number 326052 is seen during shunting duties at Portarlington Generating Station in 1982. The locohad recently been re-engined with a Lister HR6 power unit. It remained in service until closure of the Station in 1988 and moved to Stradbally in 1989. 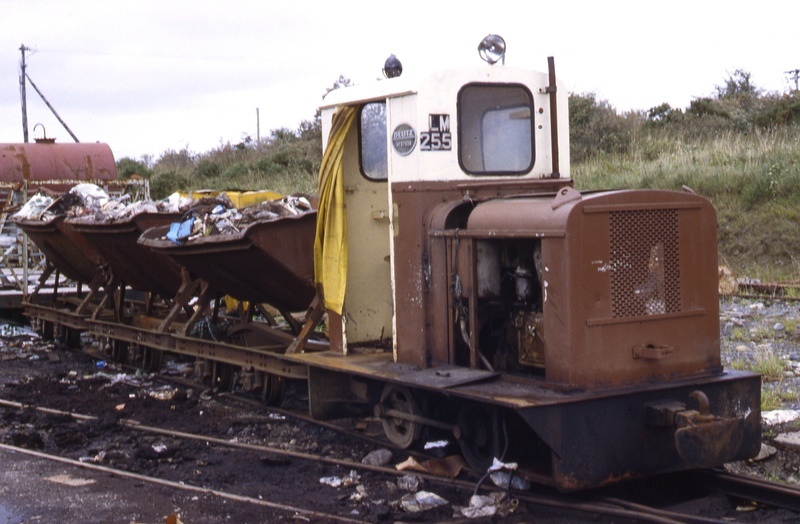 LM317 is seen on trial for Bord na Mona in 1980 just after delivery. The loco spent some time here and moved to Kilberry and Ummeras Bogs in Kildare during the late 1980s. It rarely worked peat train usually working service trains of fuel and oil to supply bog machines. It returned to Coolnamona in 1998 where it remained until withdrawal in 2004. 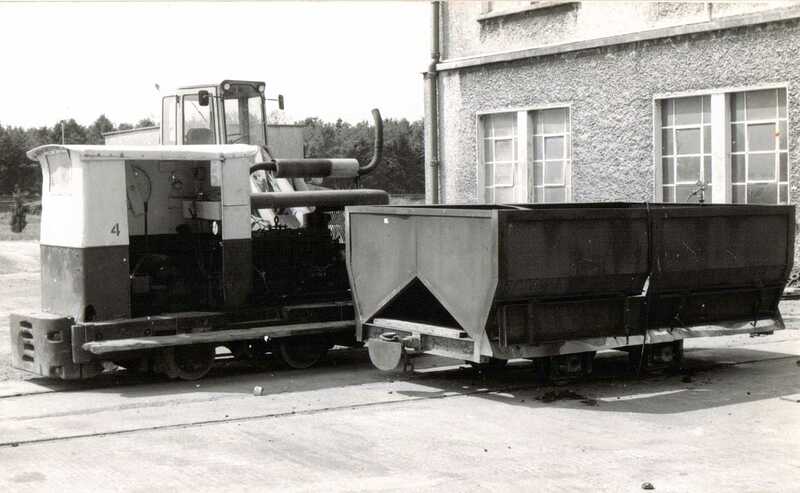 Our flat wagon was originally used by the ESB at Portarlington and later passed to Bord na Mona where it was used as an internal user wagon for carrying rubbish around the works at Coolnamona Co.Laois. By the late 1990s its V Skip body was removed and a floor was fitted prior to transfer to the new Rathdrum branch of the derrygreenagh System near Tullamore. It lay out of use for many years before being found overgrown by an ISPS volunteer. Deemed surplus by Bord na Mona it was sold to ISPS and is now in service at Stradbally for transporting sleepers. Hudson 4 Wheel Carriage "Wanderly Wagon"
This view from 1971 shows our Hudson 4 wheel Mess Van now known as "Wanderly Wagon" in its previous guise as a staff transport wagon at Coolnamona. It had been converted for this purpose in 1966 for the opening of Coolnamona to convey guests on a trip of the system. It was hired out to the ISPS at Stradbally for the 1972 Steam Rally where it was hauled by No.2 on the line then under construction at Stradbally. It returned to coolnamona in Autumn 1972 and during the 1980s was fitted with enclosed sides a new roof and a turf fired stove. It remained in use until around 2000.